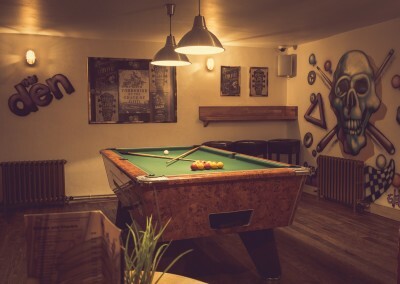 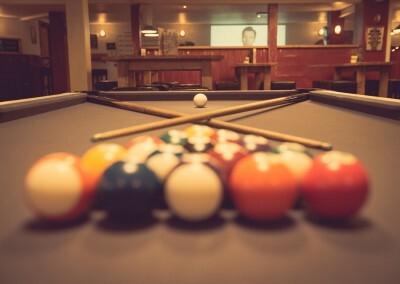 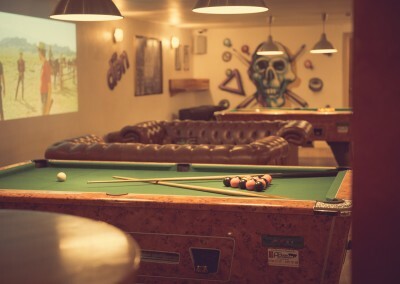 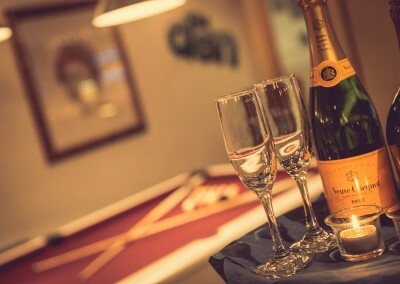 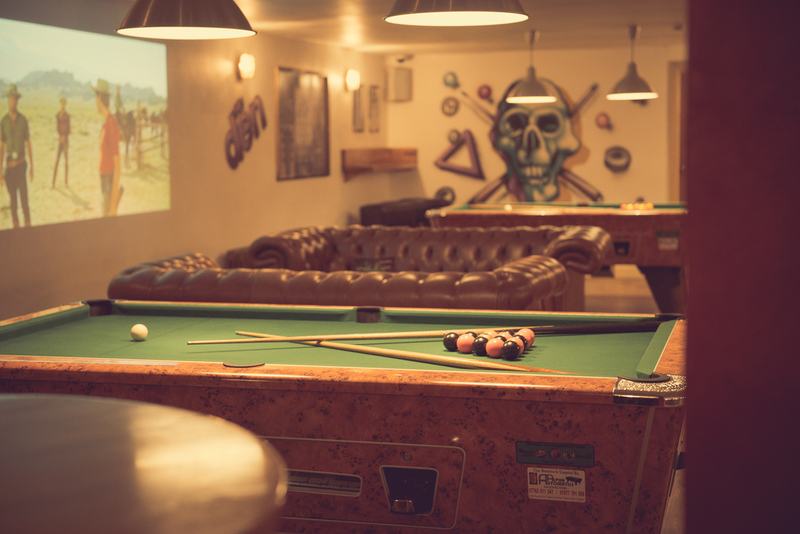 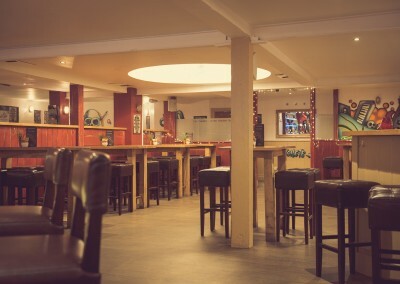 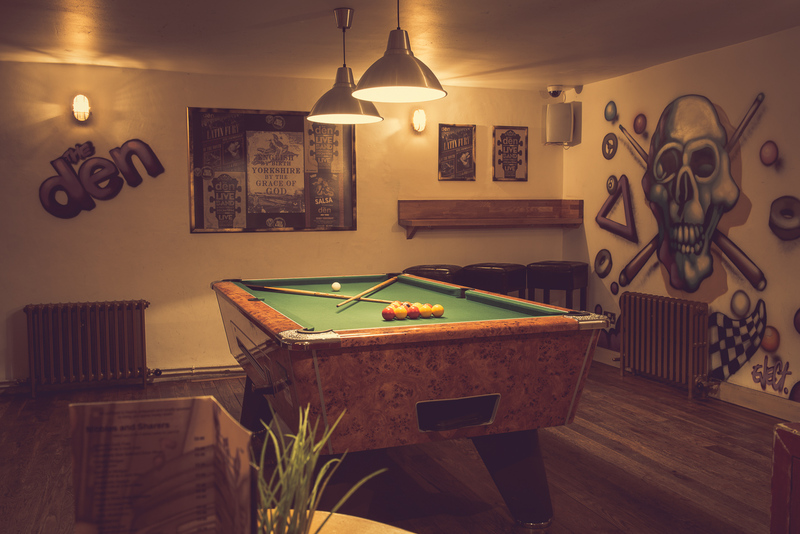 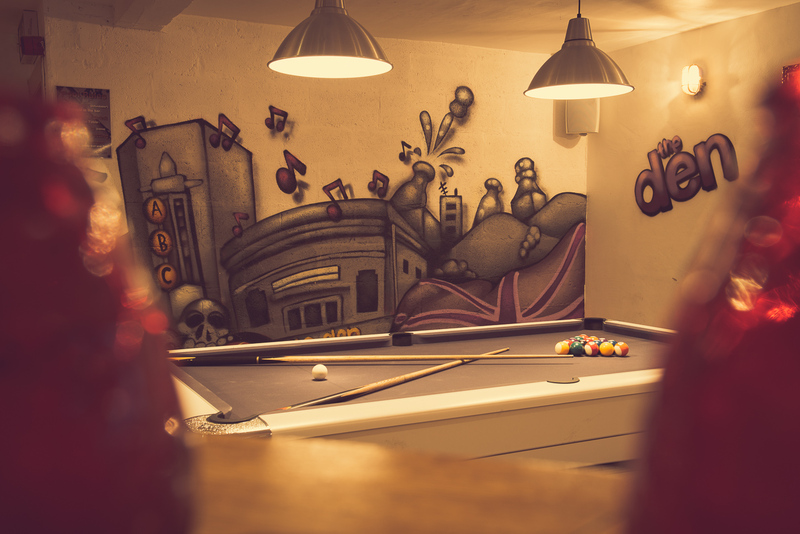 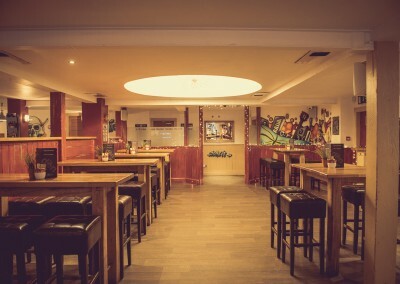 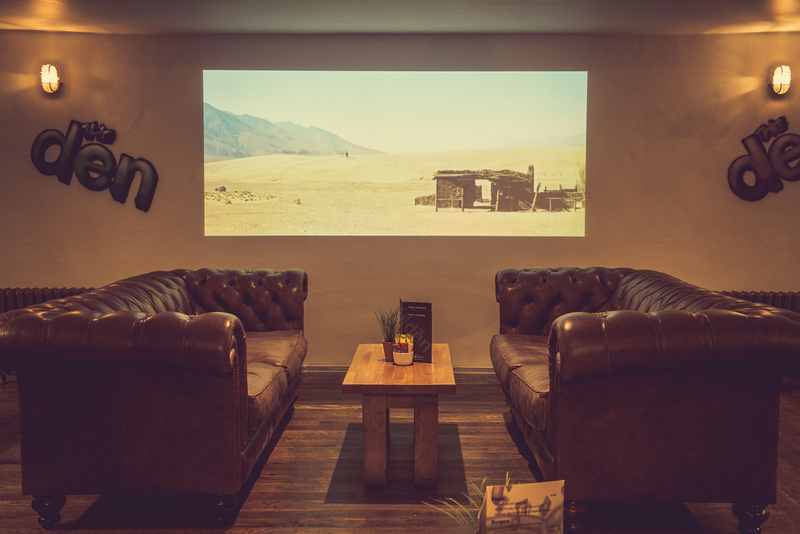 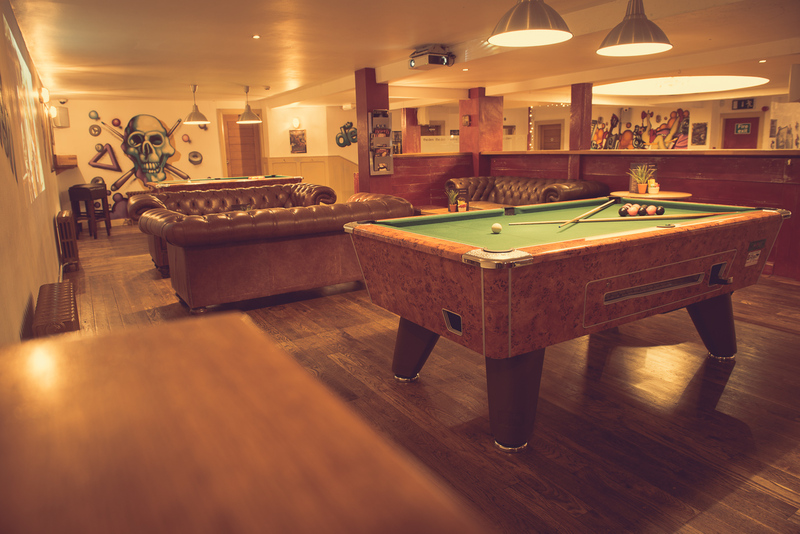 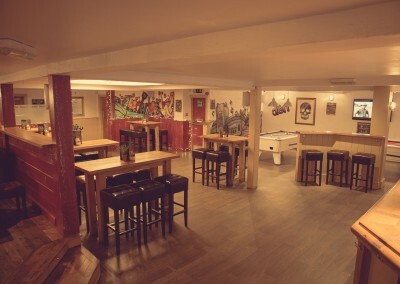 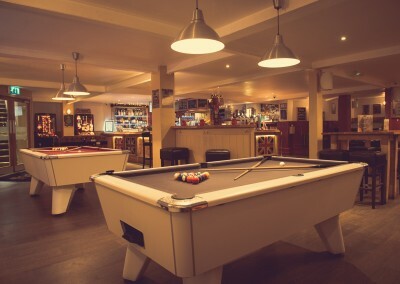 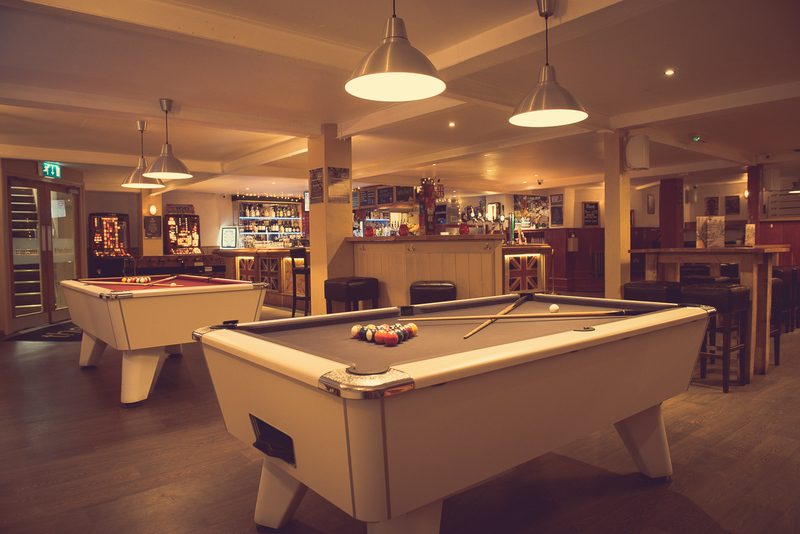 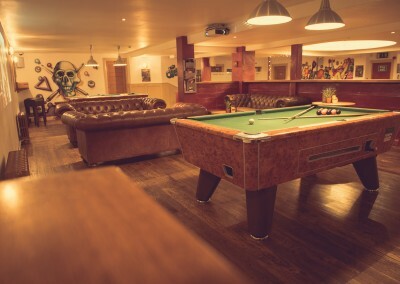 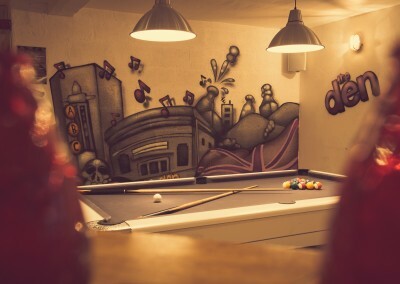 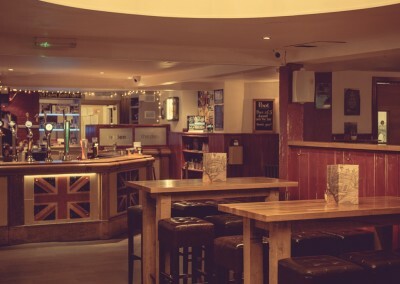 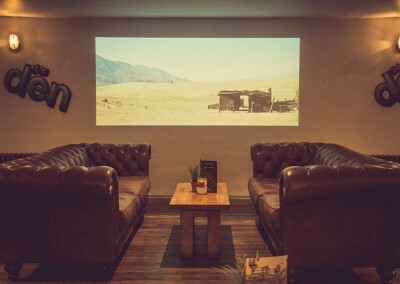 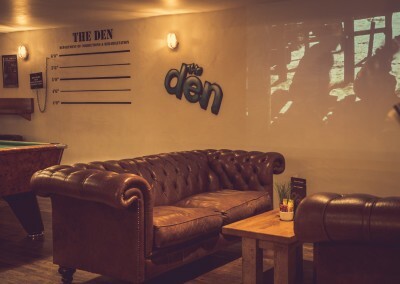 Boasting 4 premium pool tables, 3 genuine chesterfield sofas, TV screens and a HD projectors showing BT & Sky Sports, the den has built a reputation for its relaxed surroundings and friendly staff. 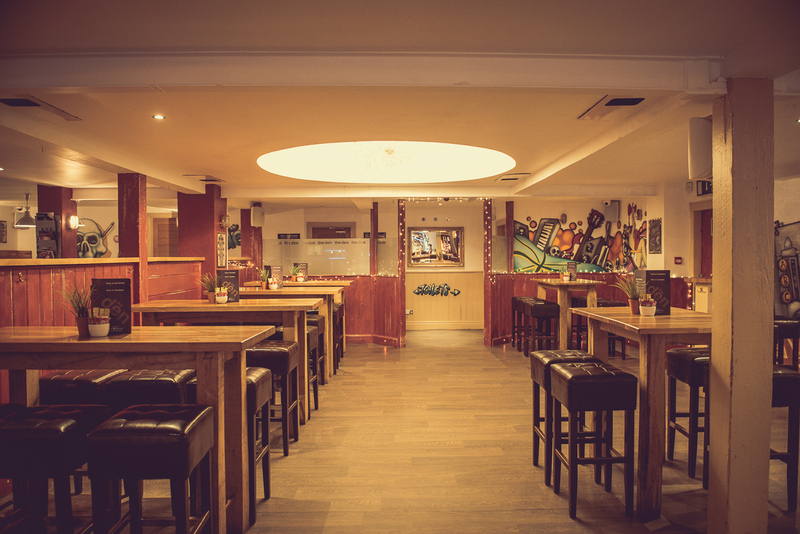 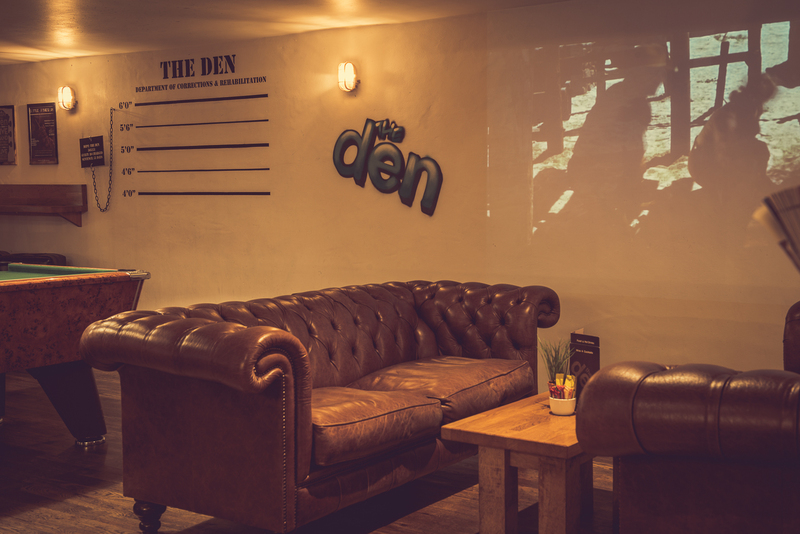 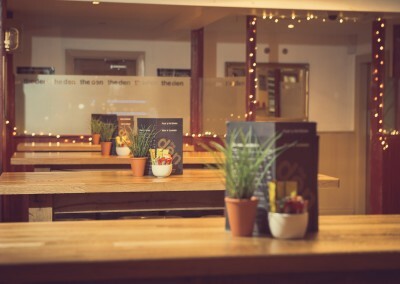 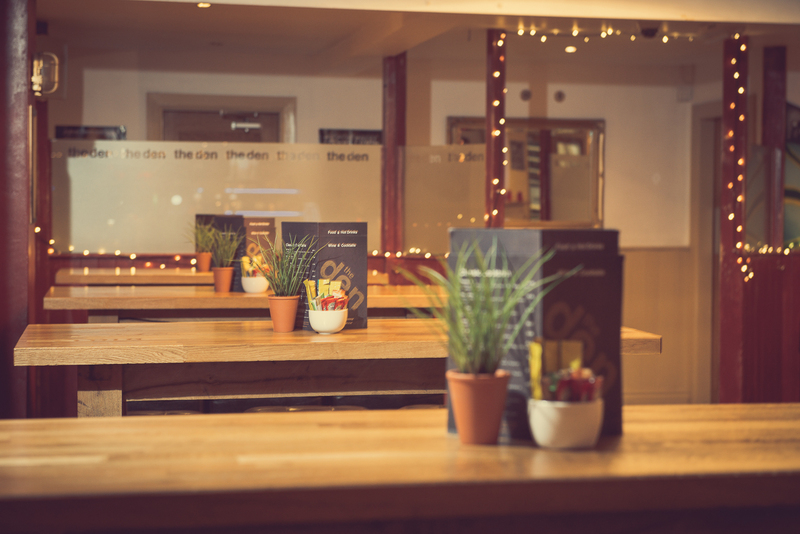 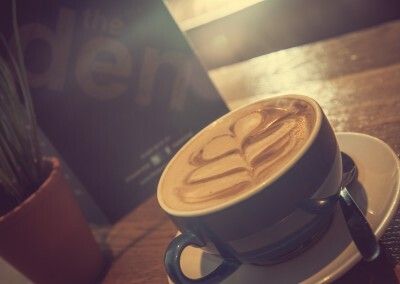 Making the den a great place to spend your down time with friends and family. 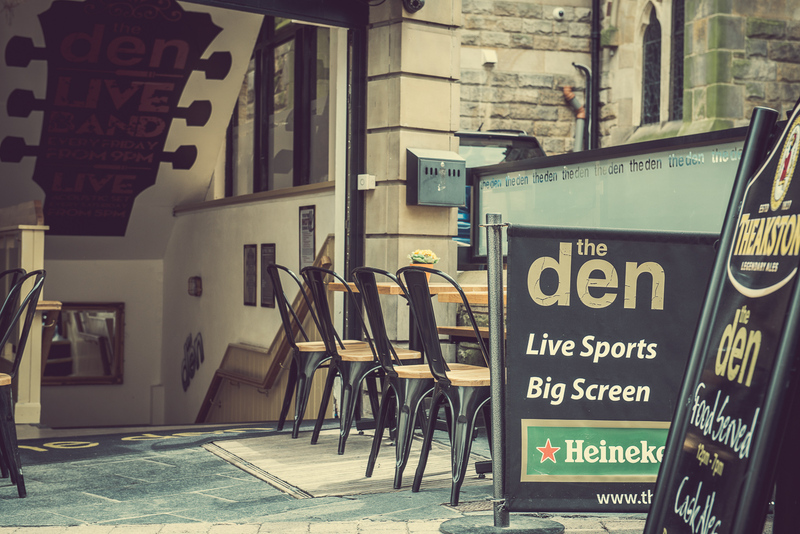 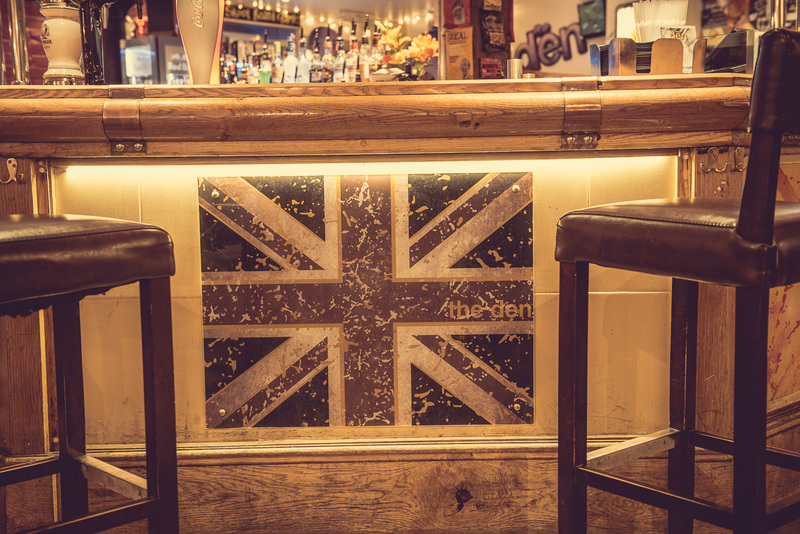 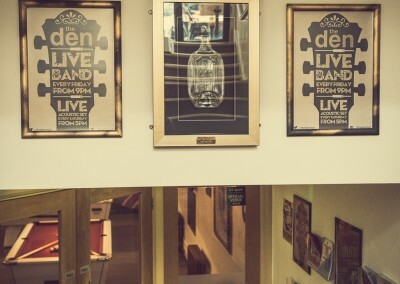 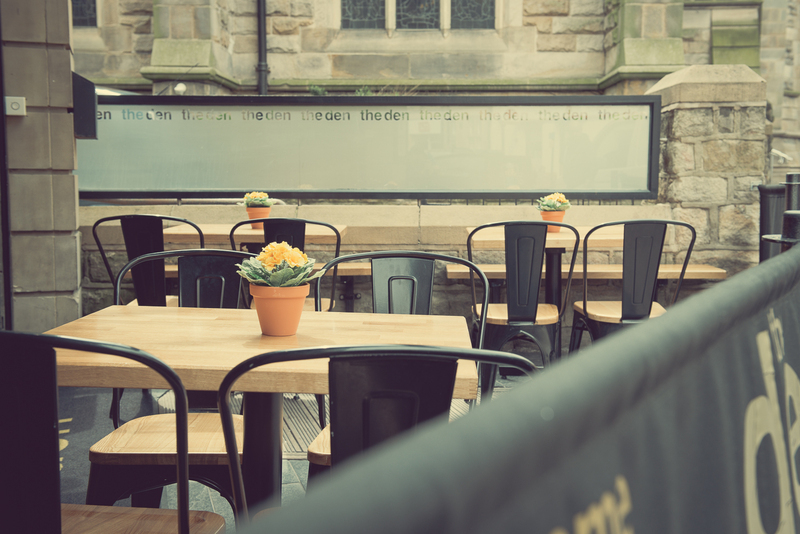 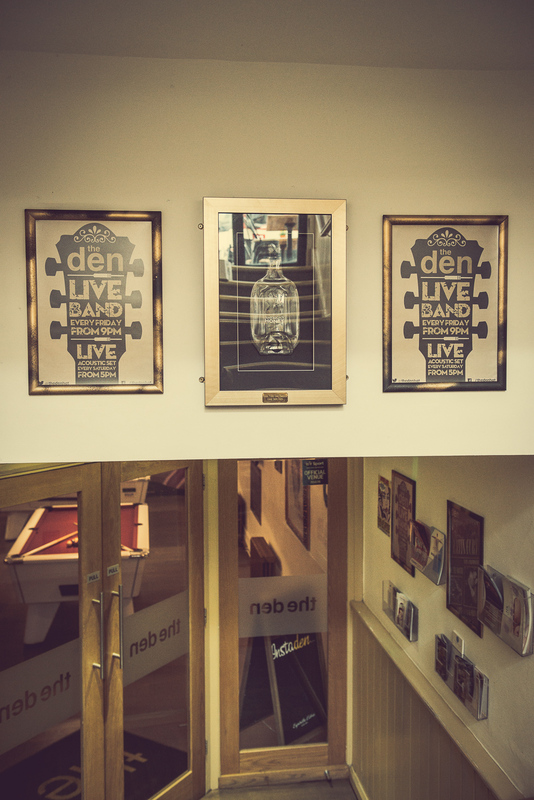 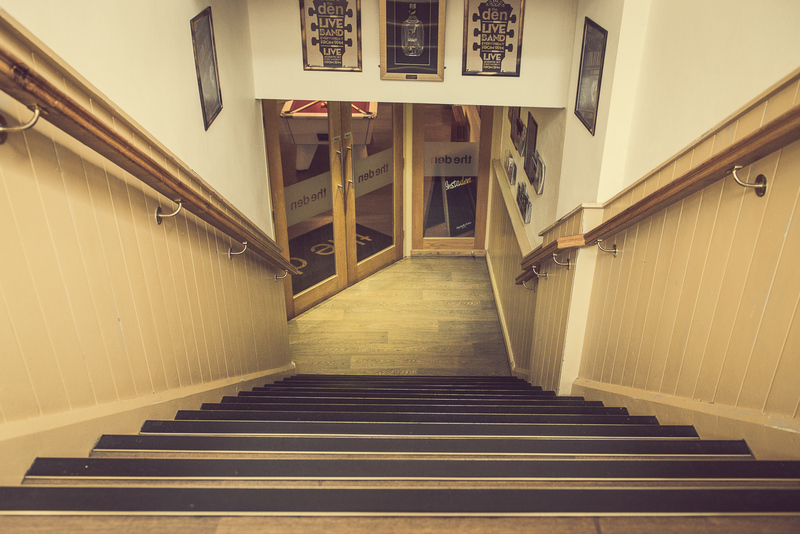 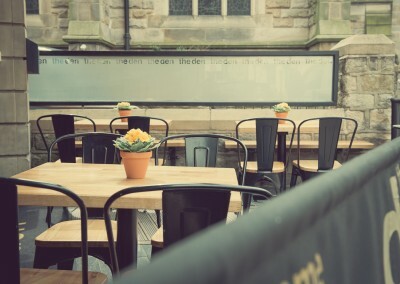 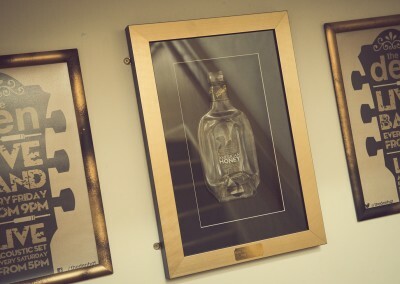 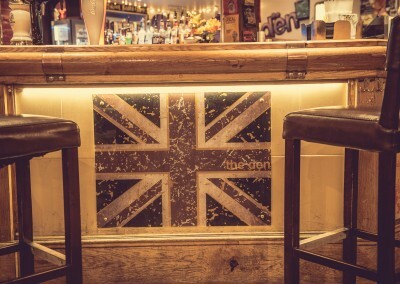 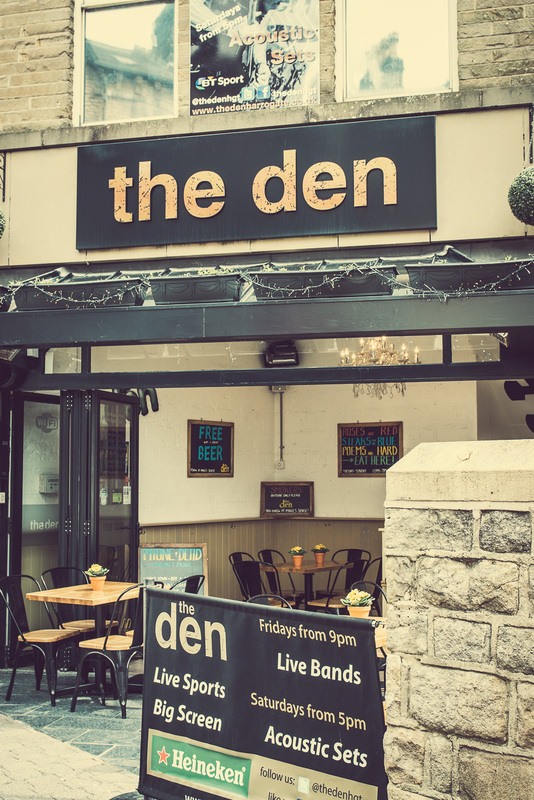 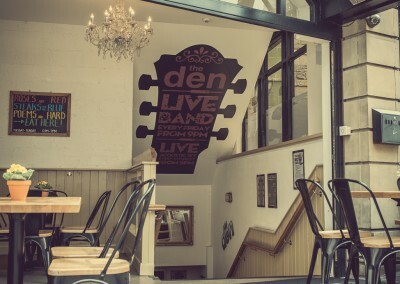 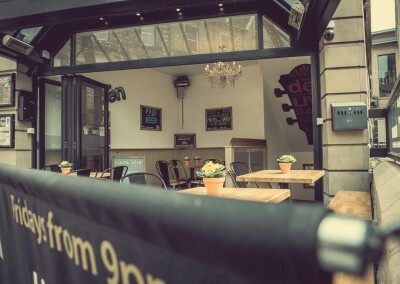 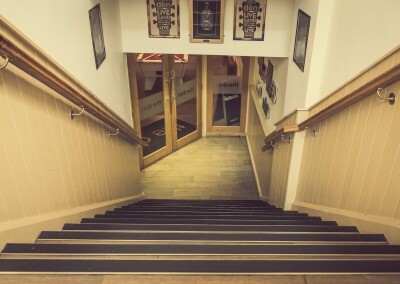 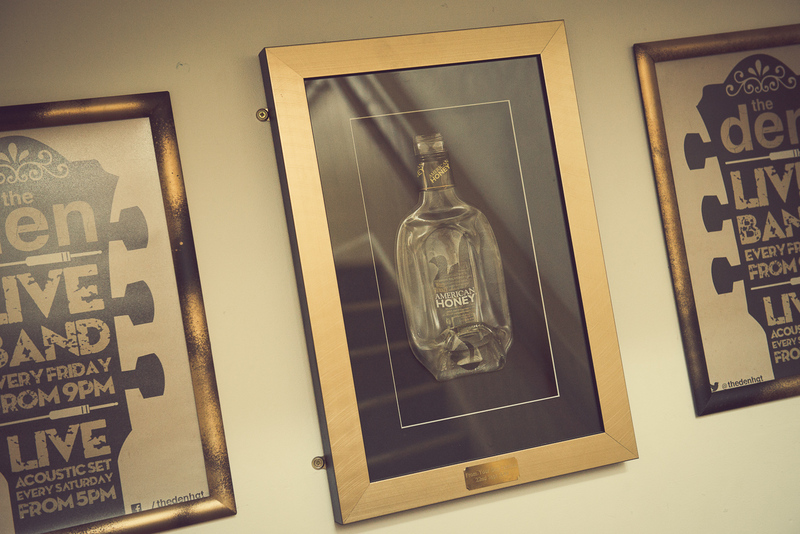 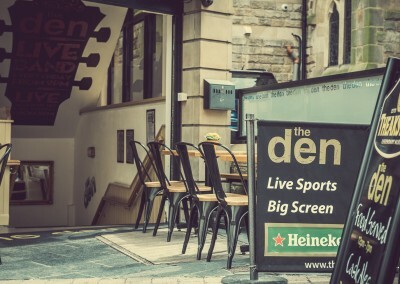 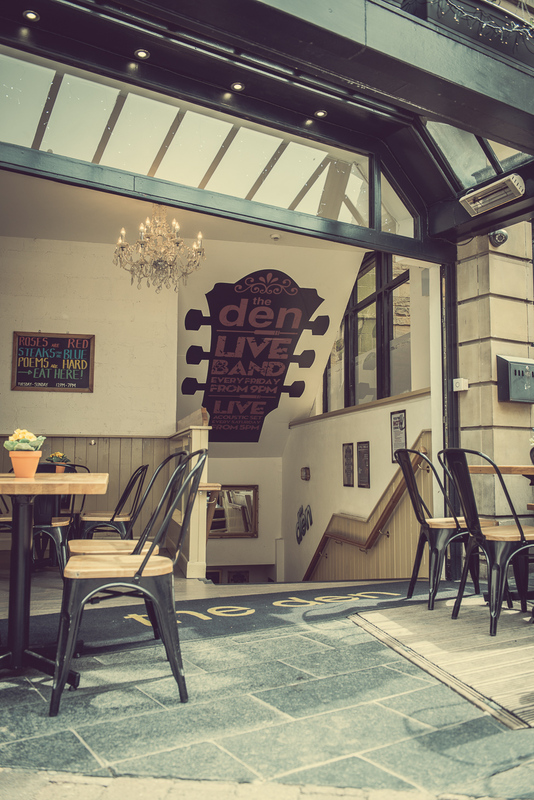 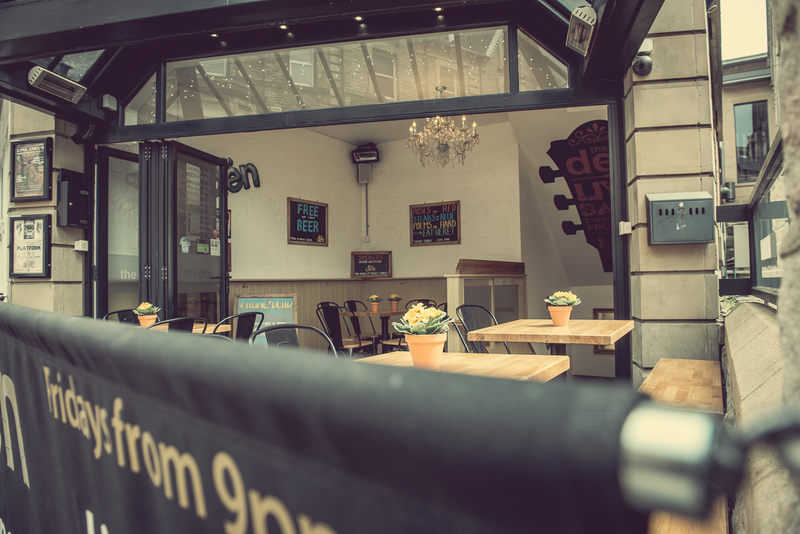 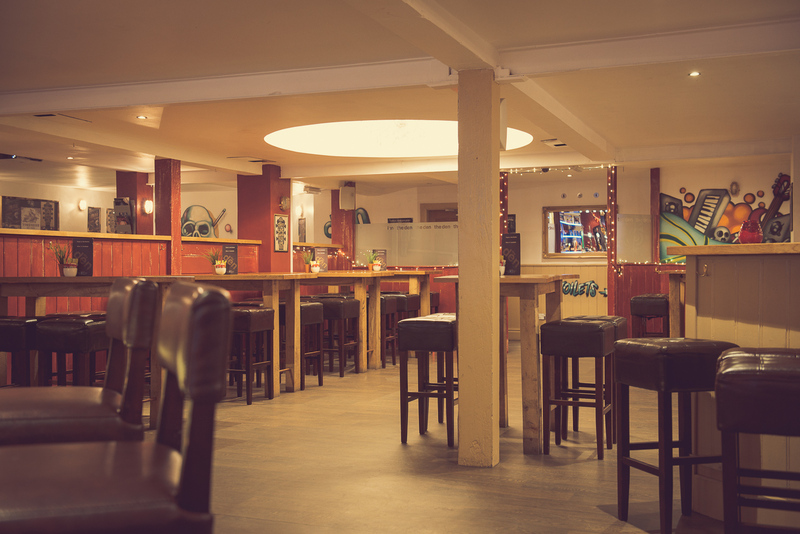 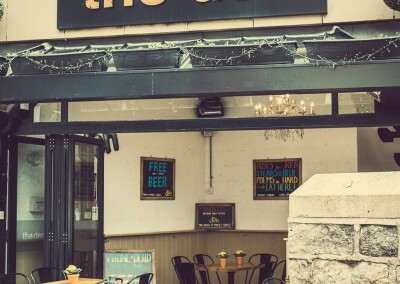 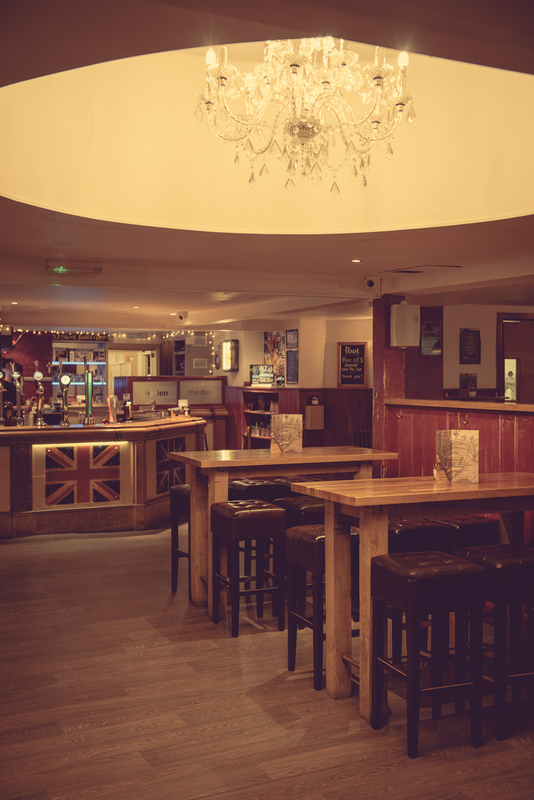 From a mid-week drink over a game of Jenga or Battleships to a lively weekend on the town listening to the best local Live Music, the den has always got something for everyone!